I Truly Couldn’t Help Myself! Our Craft Lounge New Release and Blog Hop! Can you believe that I think that I’ve only had a tiramisu martini?! (which, btw, was pretty good). Both of these are great!! I do like Maxine in the pink…..catches your eye!! Fabulous Sherry, so cute and fun!! Cute cards Sherry!! I have the martini floor stamp and the words just tickle me every time I read it. 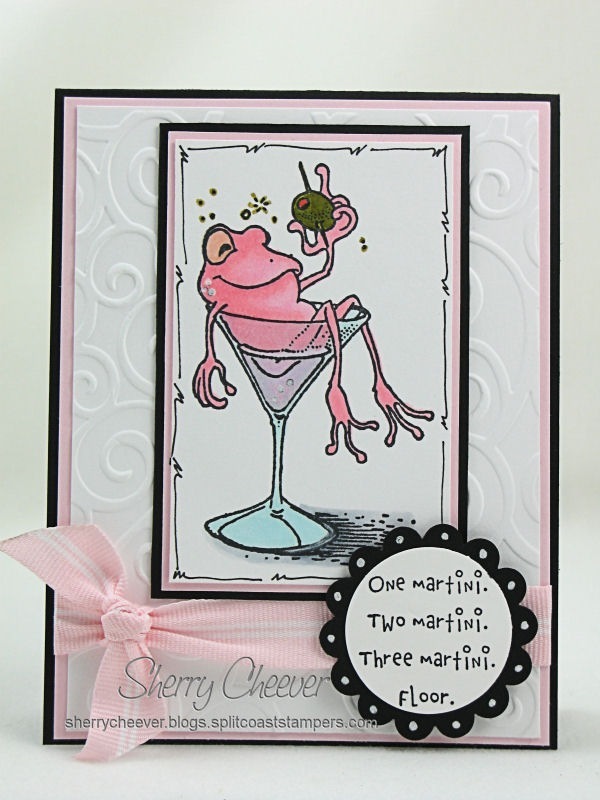 What adorable cards, Sherry….I love your coloring on these!!! 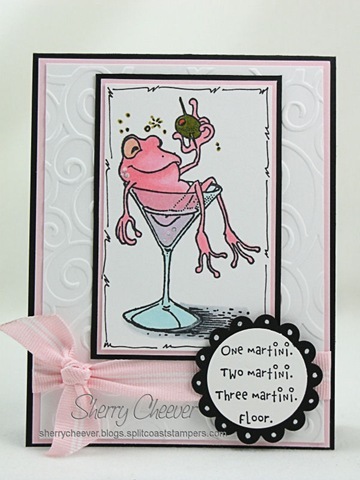 I’m afraid I would look like the pink wasted frog if I drank a Martini!!! I better stick to Diet Coke!!! Yummy Martini’s ……..you can never have too many!!!! Cute Cute Cards Sherry! I love these cards! So fun and so cute! I’ve never had a mango martini, but it sounds delicious! I love the design of your cards. 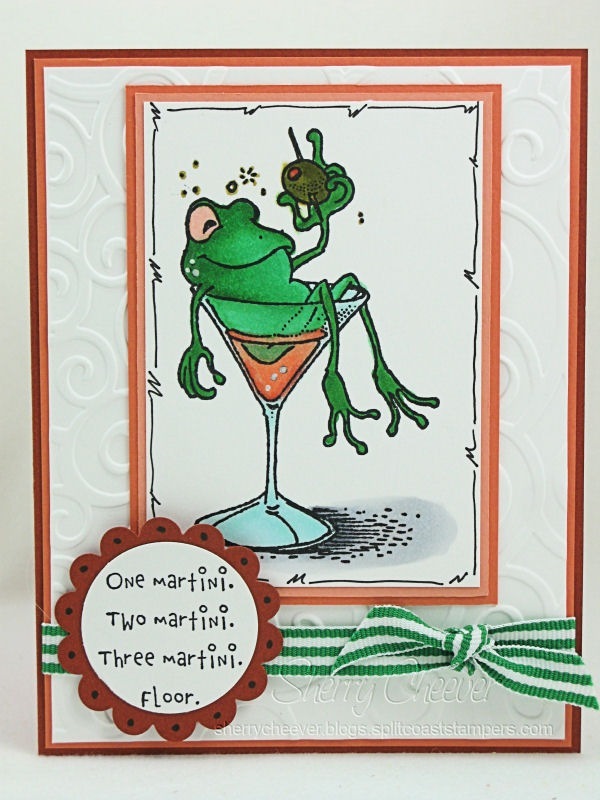 What is the stamp used for the border around the frog?